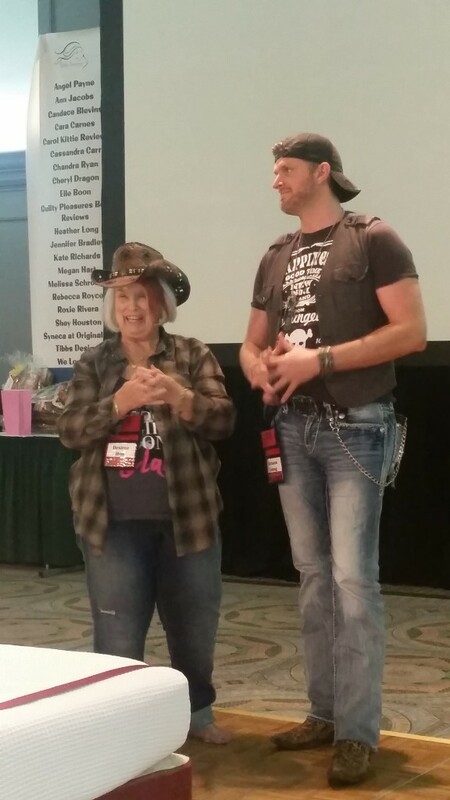 When Ms. Desiree Holt asked me to attend the 2015 Wild Wicked Weekend in San Antonio, Texas, I had no idea how much fun it would be. 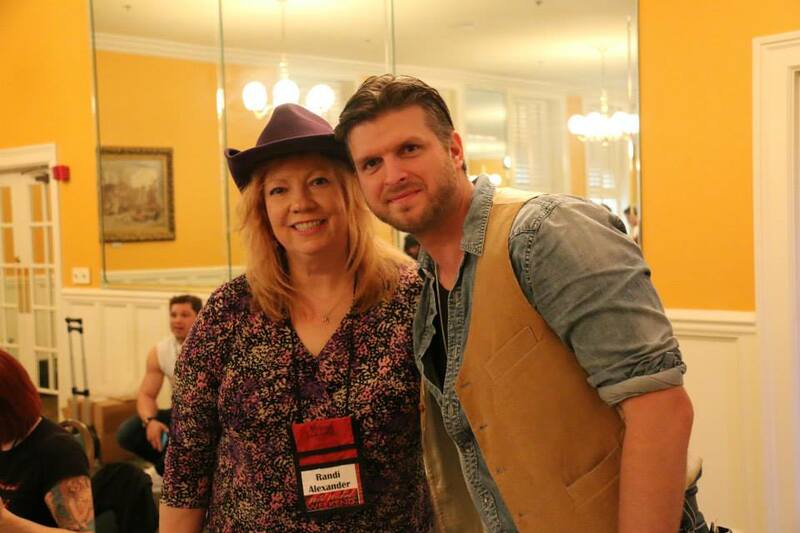 Catching up with old friends, meeting new ones, and spending time introducing my friend Jackson Young (singer/songwriter, cover model, voice-over actor) made the event one of the best reader/author conventions I’ve ever attended. Jackson and Desiree became immediate best friends, and she even tagged him to do a skit with her. The book signing was fun because Jackson and I shared a table, and he sold his CDs. I will admit – I was a little jealous of the lines he had waiting to buy from him. Jackson did a spectacular job of speaking at the Salute to the Military Lunch. He received a richly-deserved standing ovation. Would I recommend Wild Wicked Weekend 2016? Oh my gosh, yes! I can’t wait for next year’s event, so let’s all start saving our extra quarters, and I’ll meet you there! This entry was posted on Wednesday, March 4th, 2015 at 12:46 pm in Blog. Tagged: Randi Alexander, Jackson Young, #jacksonyoungcountry, #wildwickedweekend, #randialexander, Wild Wicked Weekend, Desiree Holt. You can feed this entry. You can skip to the end and leave a response. Pinging is currently not allowed. I agree, Randi, WWW2015 was so much fun! It was great to see you again and to meet Jackson. I’m hoping to be able to do it all again next year! WWW 2015 was so much fun. It was great being able to spend time and talk Randi. And meeting Jackson, was wonderful. He’s such a great guy. Can’t wait for next year. Hey Marie, it was a pleasure seeing you again, and always interesting talking “business” with you. Looks like it was a blast! Thanks for sharing. I’m happy to share, and wish you and I could meet someday, ELF! It was so great to see you and Jackson at WWW. I’m glad you had such a great time! I know I always do and this was my third time attending – have attended from the first one. Also really appreciated Jackson’s recitation. Looking forward to seeing you both at RT in May in Dallas. Margie, it was wonderful, and I can see why you’ve made it an annual must-attend. Jackson’s recitation was moving, and it’ll be fun to see you in a couple months. 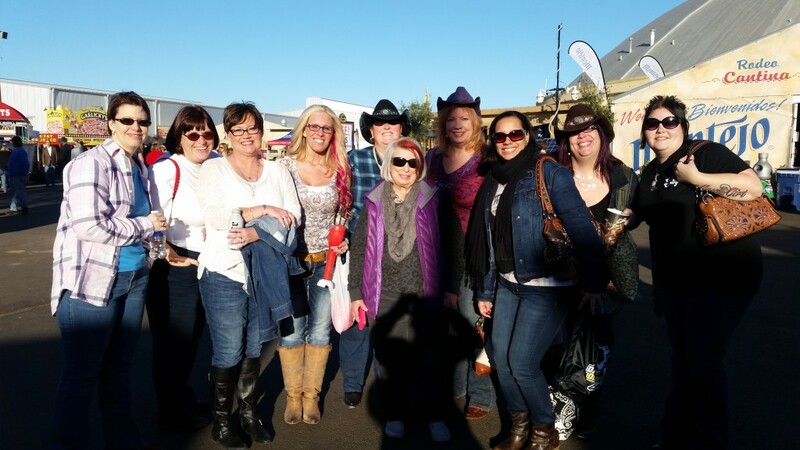 OMG, Randi….looks like so much fun…..maybe that will be me one day? Hope so! I know it will be you, Ronnie. Keep writing, girl! Every word, every sentence makes you a stronger writer. Great post and yes, I think we are all still recovering. It was great to see you again and here’s to 2016! Nice to see you too, and your hubby is such a sweetheart! WOW, sounds like you all had a great time. Do you know the dates for next year? I’m doing well just to get to MBLU. Tiss, you will love it! See Margie’s note below about the dates. Next year the Wild Wicked Weekend with be Feb. 25 – 27, 2016 – once again in San Antonio, TX. Looks & sounds like you all had a great time! Wish I was closer and could have made the trip. I’d love to see you there, Gail. So much to do so close to the hotel. Plus ghosts in the hotel, if you want to stay in the old part! This looks like a great fun weekend so thank’s for showing us the photos!